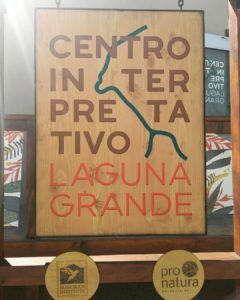 LAGUNA GRANDE VISITORS CENTER OPENS! 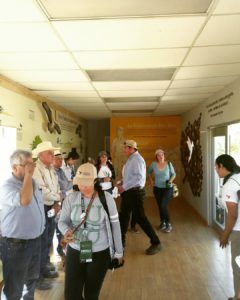 Last week, we held the official inauguration of the new Visitors’ Center at Laguna Grande, a resource for sharing with the public the progress and benefits of our conservation work in the Colorado River Delta, and specifically at our restoration site, Laguna Grande. 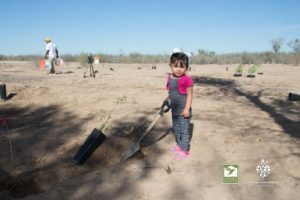 Nearly 150 people helped plant 1200 trees in the Colorado River Delta during our annual spring planting “Reforestation Weekend”, held on April 7th. 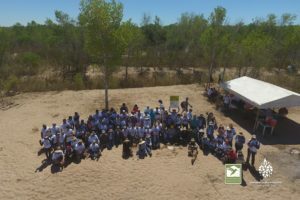 Members of the local community, students from UABC, partners, and people from both the US and Mexico came together to help continue the amazing transformation through the restoration of our Laguna Grande Site. 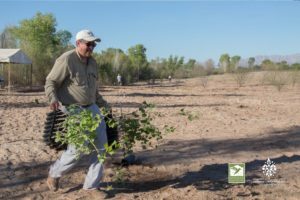 Raise the River coalition partner Sonoran Institute began preparations at 5:00 in the morning for the restoration site, then oversaw the planting of seedling trees — including the native species of poplar, mesquite, and willow trees. 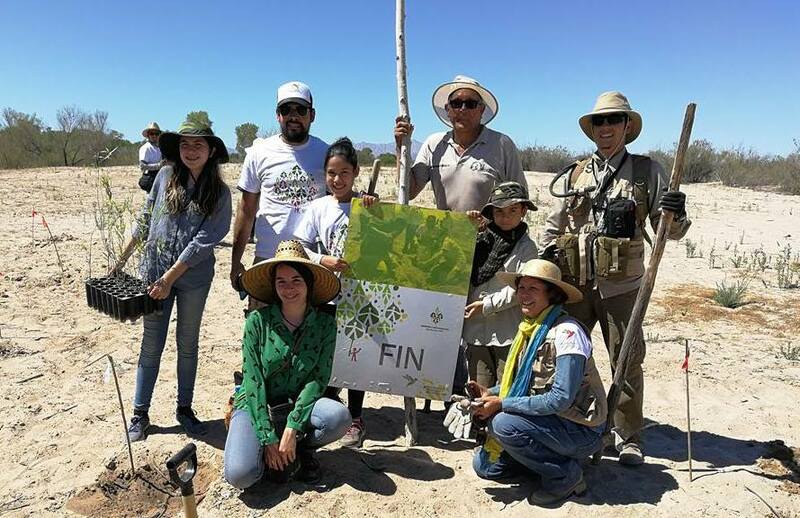 This important volunteer effort not only contributes to the restoration of this essential riparian forest ecosystem, but fosters a stronger bond between this local community and their local land. Thank you to all who participated in our work to bring water and life back to the Colorado River Delta! Note: As of April 17, 2018, this position is no longer open for applications… thank you for your interest! 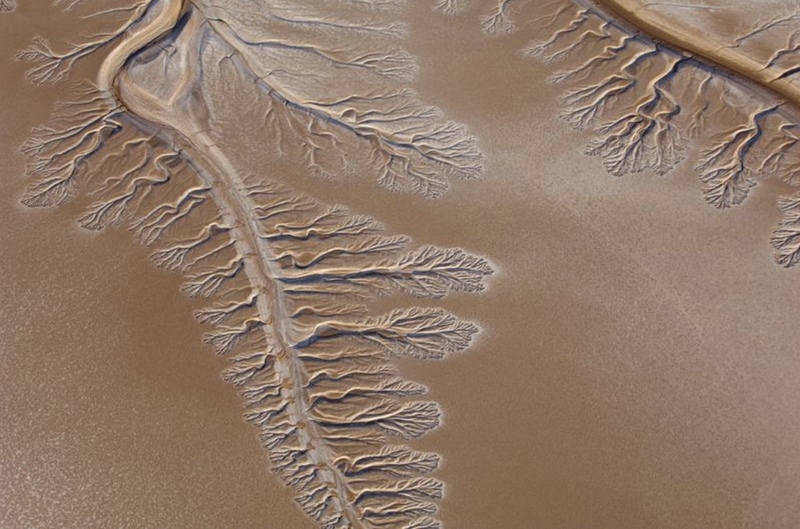 The Raise the River Coalition is seeking a coordinator to facilitate and support a dynamic bi-national initiative restore the Colorado River Delta. In response to a newly signed agreement between the U.S. Mexico, the coalition is scaling up its efforts, requiring greater collaboration, communication, and transparency among coalition members and its partners in the U.S. and Mexico. The coordinator, working a minimum of 30 hours a week, will be critical to the success of these efforts. 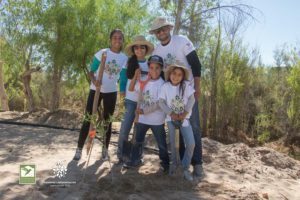 Established in 2012, the Raise the River Coalition is a unique partnership of six U.S. and Mexican non-governmental organizations committed to reviving the Colorado River Delta through activities that support environmental restoration for the benefit of the people and wildlife of the Delta. 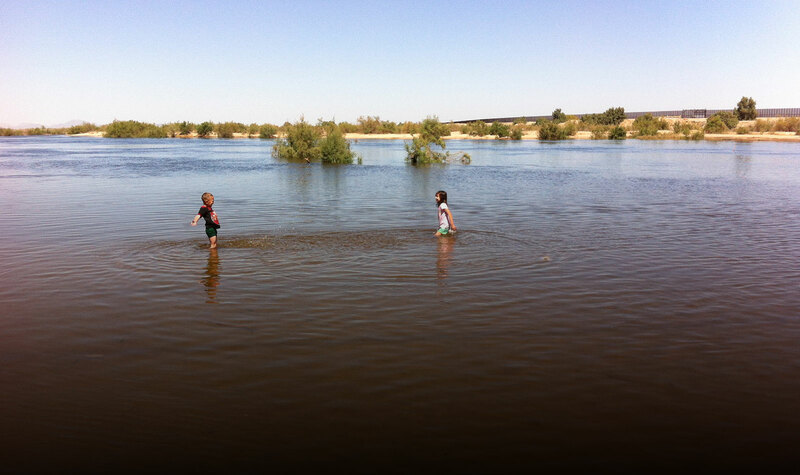 We envision a day when the Colorado River Delta is brought back to life, together with the renewal of community relationships and engagement that promote long-term stewardship of the river. The Coalition is guided by a Charter and overseen by a Steering Committee comprised of representatives of participating non-governmental organizations and key advisors. The work of the Coalition is coordinated through five Working Teams (Binational Diplomacy, Restoration, Water, Fundraising, and Communications). The Raise the River Coalition Coordinator is responsible for the day-to-day operation of the Coalition and enhancing the Coalition’s overall effectiveness regarding accountability, transparency, and operations. The Coordinator is expected to guide the Coalition in establishing and maintaining clear roles and responsibilities among participating Coalition members. She/he must also enable direct, constructive, and timely engagement and communication within the Coalition. The Coordinator also will assist the Coalition in being clear and open about the Coalition’s measures of success, and tracking and reporting on the progress of the Coalition’s work to multiple audiences. Lastly, the Coordinator will help the Coalition in identifying and cultivating prospective donors, keeping coalition members apprised of collective and individual fundraising efforts, and reporting on the coalition’s progress in meeting its fundraising goals. The Coordinator reports to the Raise the River Steering Committee, but will be guided in the day-to-day operation of the Coalition by the Steering Committee’s Co-Chairs. Update RtR Charter and Team descriptions based on annual evaluations; develop additional policies and procedures for RtR effectiveness as needed. Develop annual operating budget for RtR Coalition (coordinator, facilitator, meetings, and fundraising and communications support). Administer contracts as necessary to facilitate RtR collective responsibilities. Develop an annual RtR work plan and calendar of activities work identifying tasks, timelines, and responsible parties. Participate in Team calls as needed. In consultation with RtR Coalition members, identify funding prospects and develop cultivation strategies for these prospects. Assist in the cultivation of funders to steer funder interest to areas of greatest need and priority projects, guided by RtR restoration criteria and priorities. Track funding to the RtR Coalition and Coalition members that meet Min 323 NGO fundraising commitment and broader five-year fundraising goal. Collect from RtR partners annual information on water delivery, restoration, and success criteria monitoring. Maintain this information in a RtR database accessible for all RtR steering committee members. Final annual reports will be prepared by the RtR communications director. Review all communications materials including annual accomplishment reports, press materials, website content, and social media. Conduct annual evaluation of RtR Coalition effectiveness based on assessment questions in RtR Charter, including RtR Coordinator’s role; survey Steering Committee and Team members as part of annual evaluation. Prior professional experience facilitating or supporting stakeholder process, coalition, or campaign involving multiple groups, organizations, or interests. Prior professional experience working in natural resource, land or river conservation issues. Prior professional experience in fundraising, including proposal and report writing, donor cultivation, and grants management. Experience using Microsoft Office, Dropbox, or other project management software. Bi-lingual; ability to read, write, and translate documents from Spanish to English/English to Spanish. Ability to travel within the western U.S and northwest MX on an occasional basis. Current, valid U.S. or Mexican Passport. Prior professional experience working in Mexico or Latin America. Experience managing staff, including hiring and termination of personnel, developing individual workplans, and conducting annual performance evaluations. Organized, detail oriented and ability to multi-task. Willingness to handle general administrative tasks. Contract position, working an average of 30 hours a week. Not location specific. Compensation: $6,000 a month. Reimbursable expenses (travel, phone, and other expenses as approved by the coalition co-chairs). Position open until filled. Applications will be reviewed beginning March 15th. Questions about the position may be forwarded to John Shepard, Sonoran Institute, at Jshepard@sonoraninstitute.org. No calls, please. Applications, including a cover letter and resume, should be emailed to John Shepard at jshepard@sonoraninsitute.org. 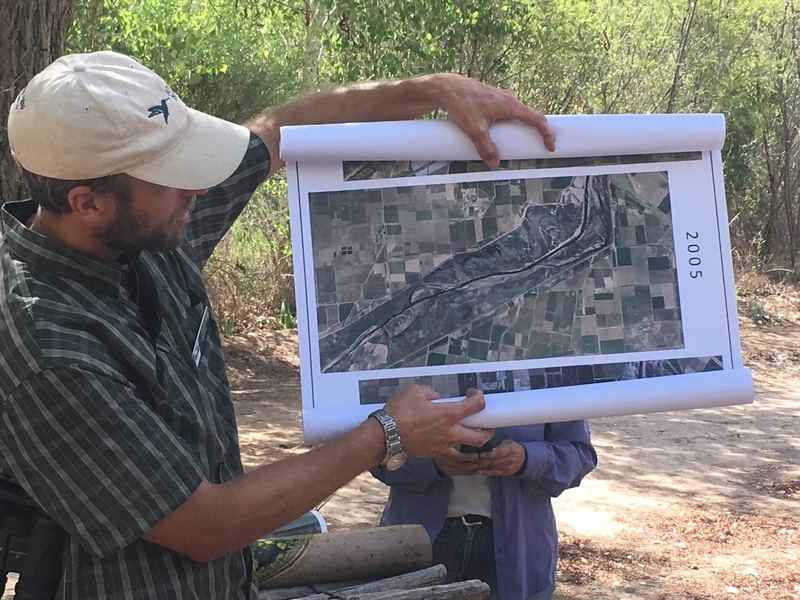 An important part of our restoration work in the #ColoradoRiverDelta is monitoring our activities, then tweaking where needed, if results are different than predicted. In the spirit of sharing, presenting this paper on what we have learned, to more efficiently provide benefits to nature. 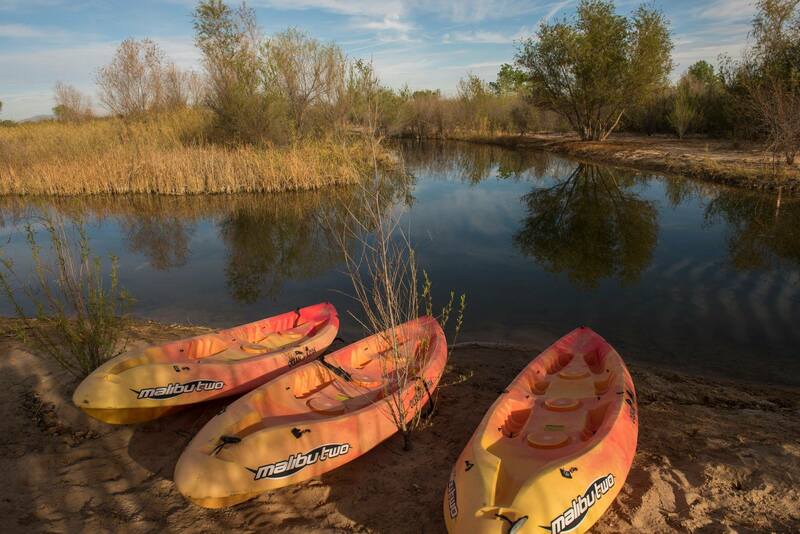 After all, the more we learn, the more trees will grow in the #ColoradoRiverDelta! 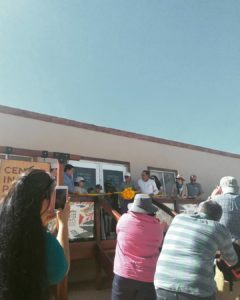 Featuring the work of coalition partners, Eloise Kendy/ The Nature Conservancy, Osvel Hinojosa Huerta of Pronatura Noreste, Karen Schlatter/ Sonoran Institute, and others. Please read and share!